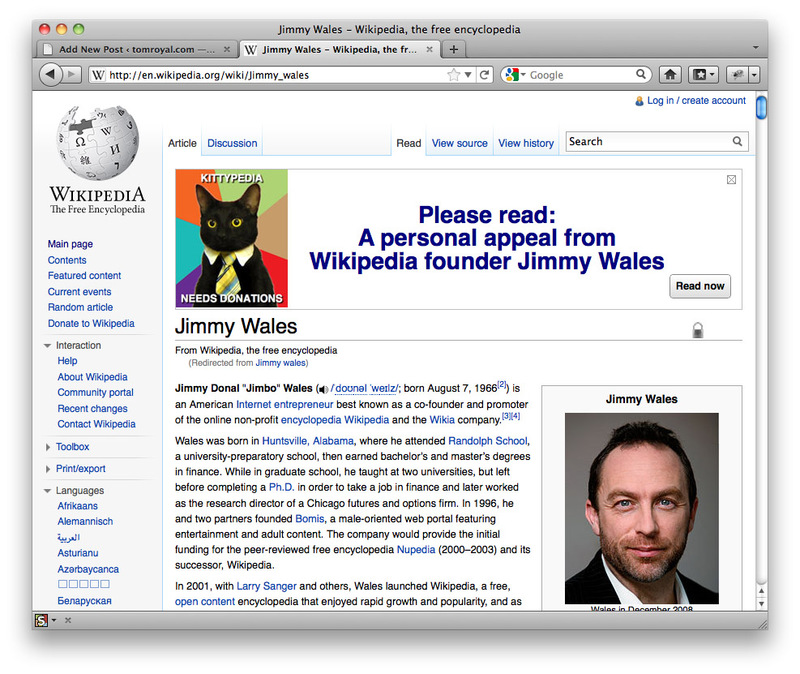 There’s been a lot written about those Wikipedia Jimmy Wales banners. For my part, I’m just pleased that, unlike late 2010, this year’s version doesn’t use an image approximately 10bn pixels long. But if you’re getting tired of seeing Mr Wales every day – and, preferably, after you’ve donated – here’s how to replace him with Business Cat. Step One: Install Stylish for Firefox from here.